Blog is a personal diary. It is a collection of links.It could be a place to make money or it could be a political commentary. It may be more than a website. A place to express thoughts in written form for the world to read. People blog about web design, hobbies, technology, video, music, arts,sports, politics, medicine money and more. There are many types of blogs-Artblog, photoblog, videoblog, podcasting, and microblogging (another type of blogging which features short posts) too. So, how to blog? Actually there are many hosted and standalone blog hosting services available in web. These blogging platforms are “hosted” blogging platforms where your blog is hosted on their own domain. Many new beginners usually choose these type of platforms because they are free. These are another type of blogging platform where the blog is hosted by owner on own domain/ URL. 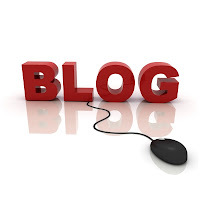 Previous Post« Previous What is a blog?